3 day/2 night cultural tour, starting in Sofia. 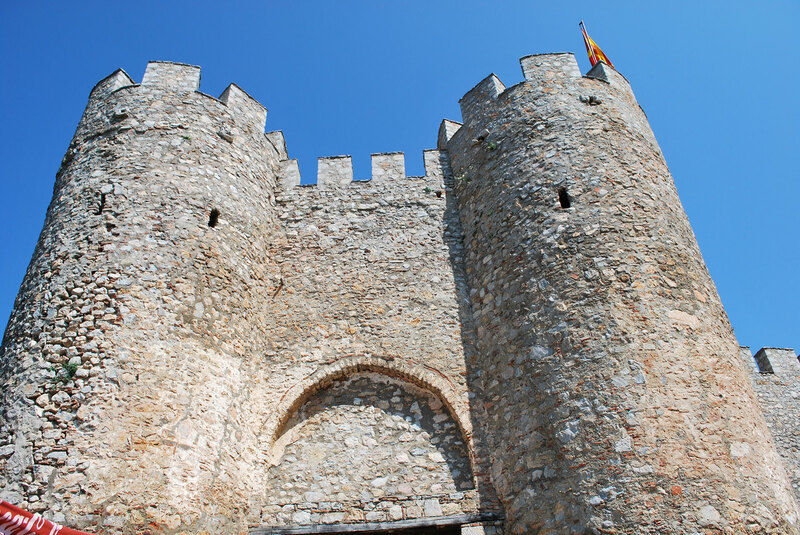 This tour provides an excellent opportunity to see the roots of a century-old culture, impressive mediaeval churches and monasteries and Nature, which beauty will take your breath away. 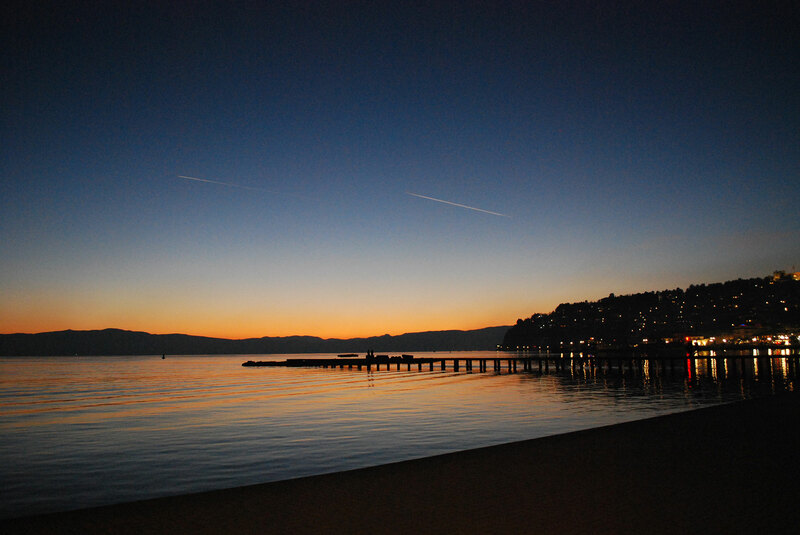 We visit Plaoshnik where St. Clement of Ohrid founded the first University in Europe and educated 3,500 students at the end of the 9 c (887 - 893 AD). St Clement ‘simplified’ the Glagolitic alphabet, designed by Sts. Cyril and Methodius, and in honour of his Teacher – St. Cyril, named it “Cyrillic”. 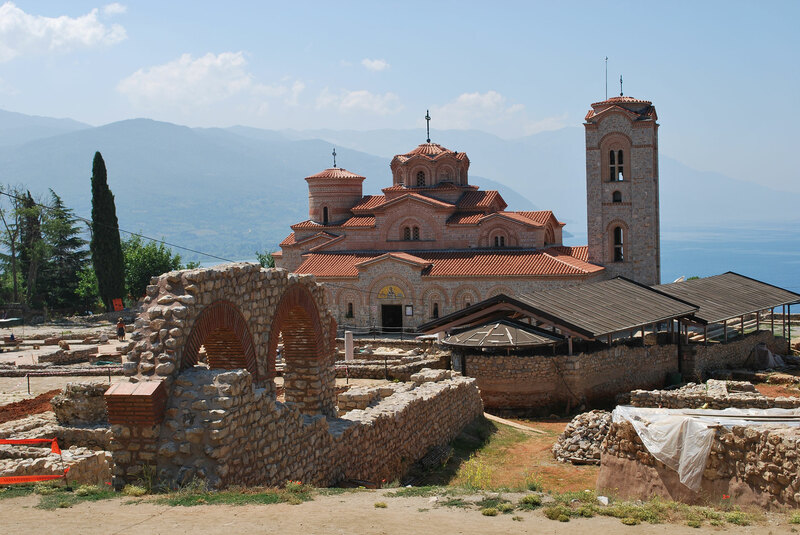 HIGHLIGHTS: UNESCO site – St Clement of Ohrid church, the Ohrid Lake, St Naum monastery, lovely villages of whitewashed houses with red tiled roofs. Local cuisine is another hidden secret, worth your special attention. Early morning departure to Skopje. 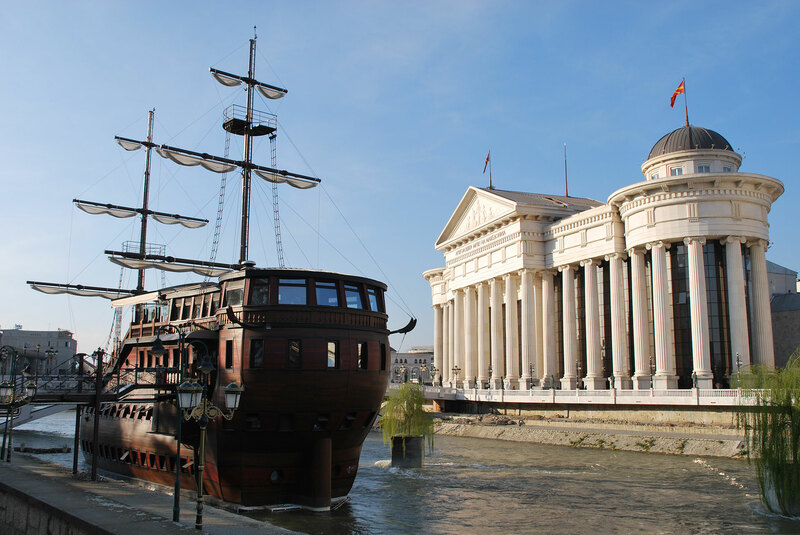 Meet your local guide in Skopje and enjoy a sightseeing tour of the city, a historical crossroad between East and West. See the Old Stone Bridge, the old bazaar, City Fortress, the Church of Holy Salvation with the marvelous wood-carved iconostasis, Monument of Mother Teresa - she was born in Skopje. Proceed to Ohrid with a stopover in Tetovo to visit the famous Colourful Mosque, built only 3 years after Christopher Columbus discovered America. Accommodation at a 4* hotel in Ohrid. 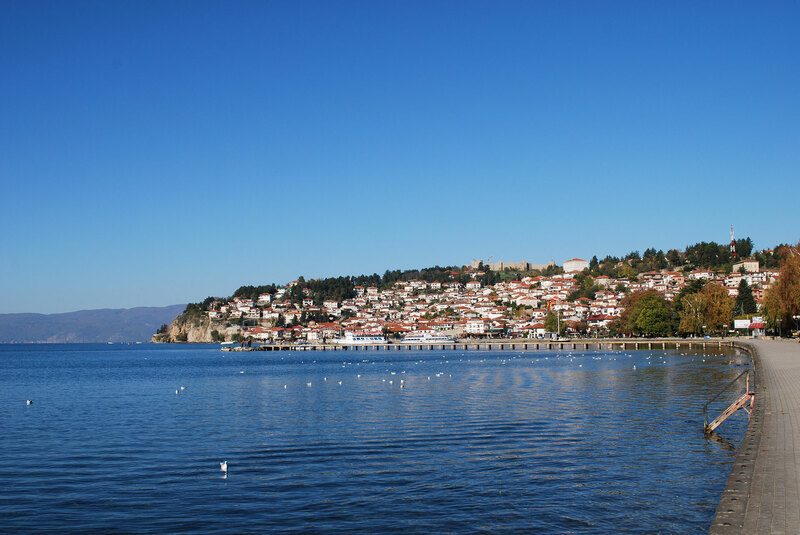 Following breakfast, enjoy a full day tour of Ohrid, the Ohrid Lake and the neighboring St Naum monastery. Visit the old town with the fantastic Mediaeval Orthodox Churches: Church of St Clement - UNESCO site, Church of St Sofia, Church of St. John Kaneo, Roman Theatre, Fortress of Tzar Samuil. 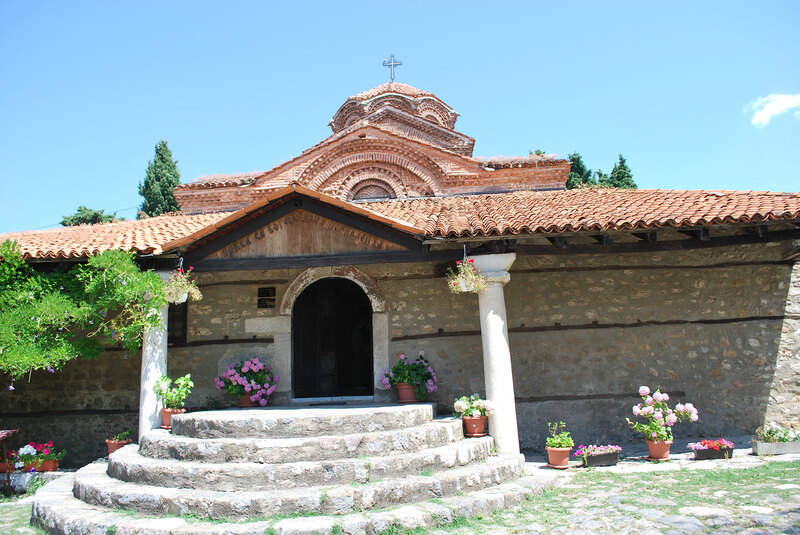 In the afternoon visit the Monastery of St. Naum, located in the southern banks of the Ohrid Lake. The monastery was established in the year 900 A.D. by St Naum of Ohrid himself, who is also buried here. St Naum is one of the most prominent disciples of Sts Cyril and Methodius, who in 855 A.D. developed the first Bulgarian alphabet (Glagolitic). The beautiful setting - high mountains above the blue lake, makes the monastery the most popular destinations in the region. Drive back to Ohrid for overnight. B, Accommodation at a 4* hotel in Ohrid. After breakfast leave Ohrid, heading North, via Debar, across the gorge of Treska River and visit the largest monastery in Macedonia - St Bigorski Monastery, the most important monastery in Macedonia. Drive back to Sofia, where tour ends.